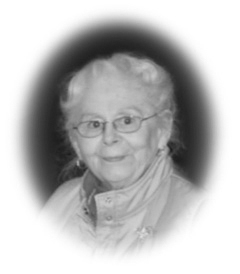 Mariann (Paradis) Morton, 80, of Amherst, NH, wife of Robert W. Morton, passed away Sunday morning, May 6, 2018, at Southern New Hampshire Medical Center in Nashua after a brief illness. Mrs. Morton was born in Lowell, Massachusetts on January 29, 1938, the daughter of the late Leo and Stephanie (Nowak) Paradis. She was a graduate of Lowell High School, Class of 1955. Mariann and her husband were married at Immaculate Conception Church in Lowell in 1958. The couple resided in Nashua for 13 years before moving to Amherst, NH, in 1971 where they made their home for the past 47 years. In addition to raising her family, Mariann was employed as an executive secretary at Raytheon, Sanders Associates, and their successor, BAE Systems, until her retirement. She had also worked for a time at the former Amherst Bank & Trust. Mariann loved spending time with her family and enjoyed shopping on her computer. She loved her pets and held a special place in her heart for her rescue dog, Brighton. She was predeceased by her infant son, Mark Morton, in 1959. She is survived by her husband, Bob, with whom she would have celebrated their 60th wedding anniversary on June 29th; her son, Jody, and his wife, Dawn Morton, of Milford, NH, and their sons, Andrew and Aaron; her son, Kevin Morton, and his wife, Leslie Farris, of Pepperell, MA, and their son, Riley; one brother, Leo, and his wife, Jeanne Paradis, of Canterbury, NH; also many nieces, nephews, cousins and friends.